DOG LOVERS will surely enjoy the movie “Show Dogs”, a comedy with talking animals and smart-alecky canines that kid viewers will no doubt find delightful. 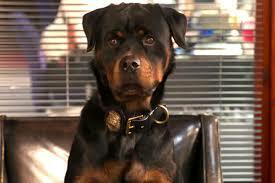 The lead dog is Max, a Rottweiler police dog (with voice by rapper Ludacris) who’s with the New York Police Departmen’ts K-9 unit. We first see him as he stakes out a gang of animal traffickers in a risky operation on the piers one night. The bad guys are selling a cute and adorable kidnapped baby panda, Ling-Li, and Max lunges at the getaway driver, who turns out to be undercover FBI Agent Frank Mosley (Will Arnett), who’s working without the knowledge or local authorities. Max and Frank are angry with each other as both believe that he’s this close in apprehending the ring leader of the animal smugglers. Max gets to corner one of the bad guys in an alley and they learn that Ling-Li is to be sold at the Canini Invitational Dog Show at Caesar’s Palace, so the NYPD dog and the human FBI agent now become mismatched, reluctant partners who have to put their differences aside and team up to go to Las Vegas as undercover agents in the world’s most prestigious dog show. This buddy cop comedy takes its cue from such police-dog stories as "Turner and Hooch", but the elements of a police procedural ultimately play second fiddle to the fabulous dog show that features glamorous canines. 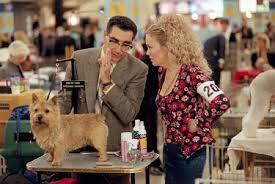 Frank seeks the help of an expert dog handler, Mattie Smith (Natasha Lyonne), while Max is befriended by a former star show dog, a French Papillion named Philippe (voice by Stanley Tucci). Philippe has won in the Best in Show competition for three times but has now fallen on hard times and was sent to the city pound where he’s rescued by Max. He is now tasked to coach Max when he joins in the competition. The angry, adorable furball that is Philippe provides the movie's most vivid characterization, his eyes widening as Tucci gleefully rants about slights, both real and imagined, from the purebred elite. This kid-friendly movie for the whole family is directed by Raja Gosnell, who did such films about dogs like “Scooby Doo” and “Beverly Hills Chihuahua”. He’s not above resorting to fart jokes to make viewers laugh and he also comes up with a delirious fantasy sequence where Max and Frank perform a dance number to the tune of “Time of My Life” from “Dirty Dancing” that will surely make you sit and stay and even roll over. 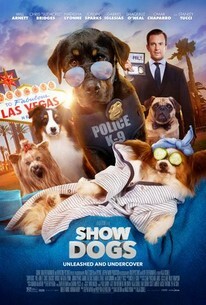 Other interesting dogs in the movie are Daisy, an Australian Shepherd (voice by Jordin Sparks); Pug Sprinkles, a crime fighting recruit (voice by Gabriel Iglesias); Karma, a Komondor sheepdog (voice by Shaquille O’Neal); and Persephone, a very weird looking dog (voice by RuPaul). The CGI effects used in making the animals’ mouths move when they talk is amusing but there are other effects that are too cartoonish. Kiddie viewers would also appreciate the film’s message on learning how to accept the love, help and companionship of others.